I’m a 30-something Jordanian, mom to a four-year-old and proud to call Dubai home for 10 years now. A year ago, I left the corporate world and a beloved career working in the philanthropic, non-profit sector with Dubai Cares to create and co-found The Happy Box start-up, in an attempt to seek happiness and contentment and make family a priority, and spread that to others. Can you summarise The Happy Box and tell me about how it began, along with your partner Linda? 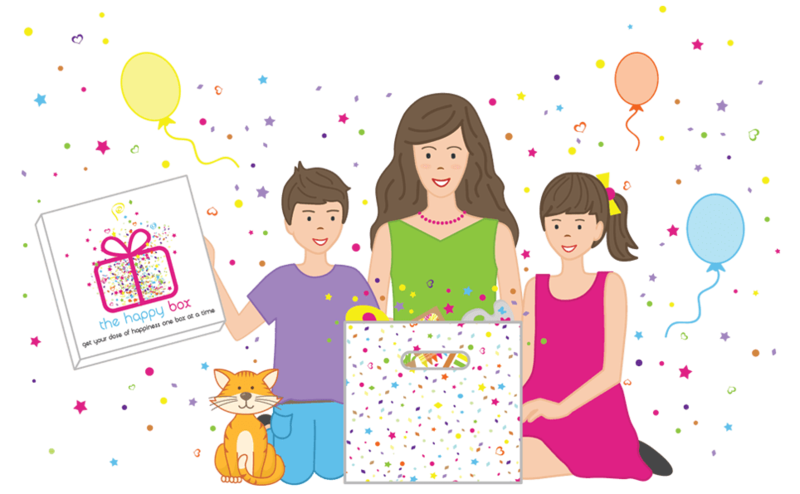 The Happy Box is a monthly subscription service that provides at least 8 themed activities every month with a book, and the activities are always fun, educational and hands on. The idea developed through a brainstorm session with my sister-in-law and our husbands, as we indulged in some French toast and talked about what happiness meant to each of us. I knew I was incredibly blessed at the time, but I was still felt something was missing and I was admittedly unhappy with the lack of quality time I got to spend with my daughter. I knew other families out there felt the same – life is so demanding, and just taking a few moments here and there to completely focus on family and on creating beautiful moments has to become a priority. These are the feelings that inspired The Happy Box! 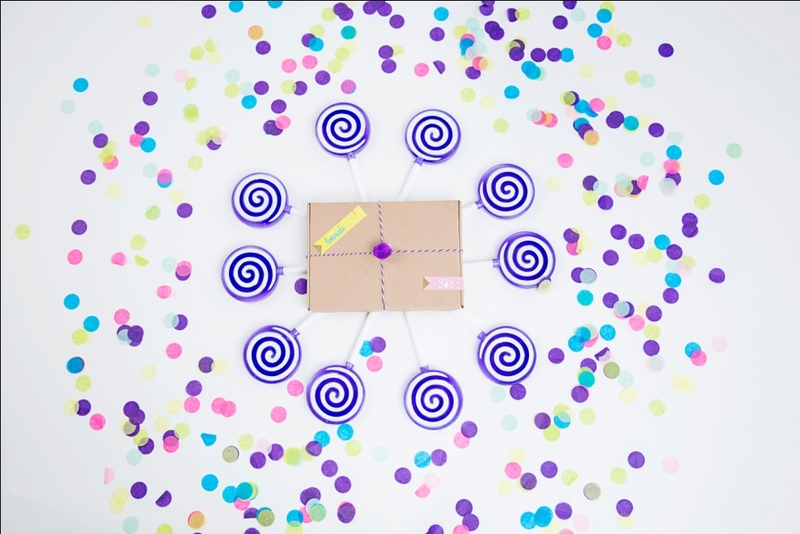 Its premise is so simple: every month we have a theme and create eight activities and a book surrounding that theme, and package it all in a delightful, fun box, filled with every single material required to create the projects and make the activities, and then deliver them to a child’s doorstep – personal and customisable! Kids work on the activities with their parents, families, loved ones, siblings and the result is a special bonding time that is invaluable. How do you feel your boxes have evolved and how do you find regular new inspiration for new items/ideas for the boxes? We are never short on inspiration, because children can learn from absolutely everything out there – the world is a big beautiful place! Our boxes have evolved in that we’ve taken into account our customers’ feedback, and everything is now bilingual, so that instructions are available in both English and Arabic. We always have suggestions on how to take the activities a step further depending on a child’s age and abilities as well. Bi-weekly brainstorms sessions over Skype with my co-founder and sister-in-law Linda, who is herself an educator and is always up to date on current trends in educational, fun activities, always helps! What’s been the proudest achievement for you in regard to The Happy Box business? What’s the most rewarding part of your job? It’s a big achievement for me to choose to put aside my career in philanthropy and launch a start-up when I honestly knew nothing about entrepreneurship – it was a steep learning curve but I’m proud of how far I’ve come. We’ve already won awards and been nominated for even more awards, and it’s all so very humbling, never mind the constant franchise requests that we receive. And to be honest, every single feedback I get from a customer sending me pictures of their children working on activities from The Happy Box or thrilled to have received their Happy Box for the month is a huge reward. Learning the ropes of managing a business from A to Z and the fear that goes into launching a start-up and not knowing how well it will be received was the initial challenge, and I’m very grateful that it has gone so well. The logistics of getting our boxes delivered to our customers in a timely manner was quickly overcome as a challenge when we partnered with our amazing partners Aramex, so to be honest, whenever a challenge crops up, we work hard on overcoming it by finding the right solution or teaming up with the right partners. Tell me about a day in your life, as the owner of The Happy Box? It’s go go go, from the moment I get up super early in the morning until the moment I collapse super late at night. These days, the morning are about the school rush and getting my four-year-old daughter Ayla to school before starting my work day and trying to get as much done as possible before school pick up. I always try to take a few hours in the afternoon, if I can, to completely focus on my daughter and be present, but when work calls for my attention, then I try to involve her as much as possible, whether through testing activities or packing up boxes or just organising our inventory, and she loves it! Plus it’s a bonus that we are spending time together. Really, every single day is different, depending on what I’m working on or what meetings I have scheduled, and I love the variety. I guess I don’t advertise the fact that I’m a perfectionist and need everything to be a perfect, certain way, which means I sometimes repack The Happy Box a dozen times before I decide it’s good enough to send out. I care very much about our image and how we are perceived and refuse to ‘let it go’ sometimes. Professionally speaking, it’s our Happy Studio, that I have made sure to decorate with as much colour and sparkle and glitter and happiness that I could muster! Personally, being on the beach on a beautiful, sunny day, barefoot in the sand with the incredible blue of the water before me and my daughter and husband by my side is perfection and the perfect description of my happy place. How do you juggle the business along with family/personal life? It’s a constant struggle for balance, and so far, balance has proved elusive! Because of the nature of The Happy Box, that two are very much related: I work on The Happy Box while still embracing my role as a mum. I involve my daughter Ayla in as much of the business as I can, and she loves it – it’s our way of bonding and spending time together, and learning through fun. Of course, some days are easier than others, and I’m very grateful and reliant on the support system of help I’ve created, whether it’s my husband or a friend or family or a trustworthy nanny or the new members of The Happy Team whom we have begun to hire. Juggling motherhood while working on a start-up is very much reliant on knowing when to ask for help! What’s your advice to other women in the UAE planning to start a business? Never, ever give up on your dreams and your ideas, run with them and make them happen in any way you can! And don’t be afraid of dreaming big – the bigger, the better. Also, create a support network for yourself because you can’t do it all, so make sure you go to those you trust and those who are in the right position to help you, and ask for help. Do you have any plans to expand the business? If so, what will it entail? Oh, we have endless plans, and the ideas just keep on coming! We definitely hope to have a global presence soon, without losing the principles and the foundation that The Happy Box was built on. We’ve been so privileged to have received so much interest from countries all around the world eager to adopt our model, we had no idea we’d grow so quickly or be such an instant success so we’re incredibly grateful and so ready to take it on. There’s so much more we’re hoping to launch – you’ll have to wait and see! Where would you like to see The Happy Box in 5 years time? I’d like to see it all over the world, spreading happiness globally, and I’d like to see our Happy Heart Giving Program as a world-renowned NGO distributing Happy Boxes to children in need all over the world. 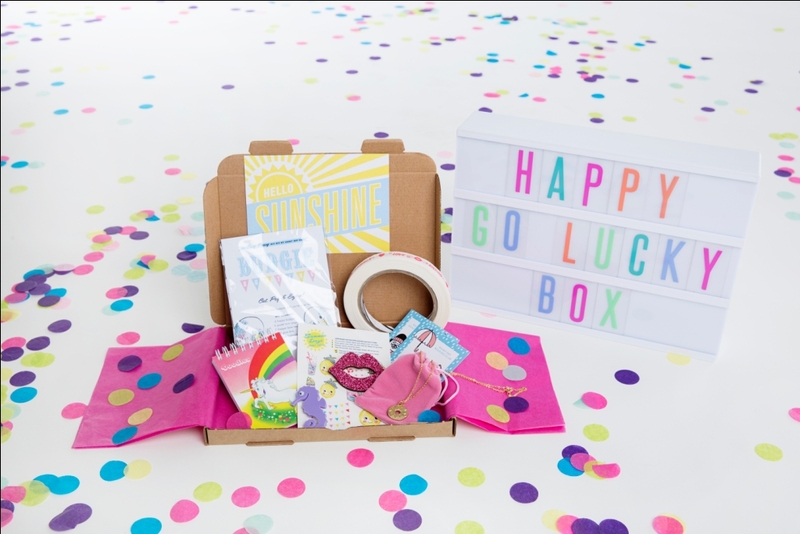 The Happy Go Lucky box is available from October 8th 2015, containing exclusive hand-made fun products and collaborations with international artists and illustrators that cannot be found elsewhere across the UAE. 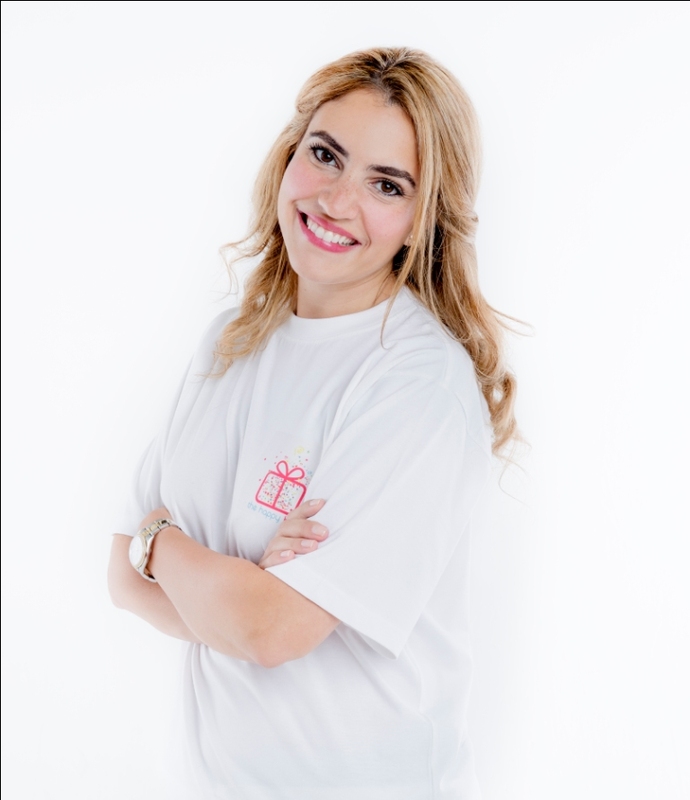 “Linda and I are very excited to announce the launch of our very first grown-up box and to be exclusively partnering with Lucky Dip Club in the MENA region who share the same brand ethos of spreading happiness” says Jumana Darwish. I really enjoyed getting to know more about The Happy Box from Jumana. Having met her at a recent meet and greet event, I can assure you that she is every bit of a unicorn as she claims to be. You can read about all that here. Her energy and good vibes are truly infectious. 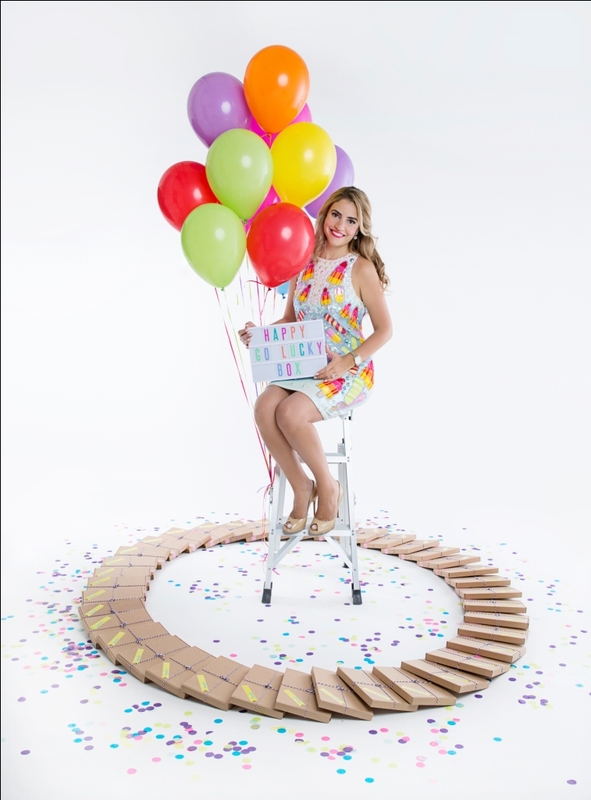 If you want a chunk of her happiness, head on over to the website and order yourself a Happy Box (or even the Happy Go Lucky Box that are available now)! All photographs in this post are the property of The Happy Box, and have been used by the owner’s permission.